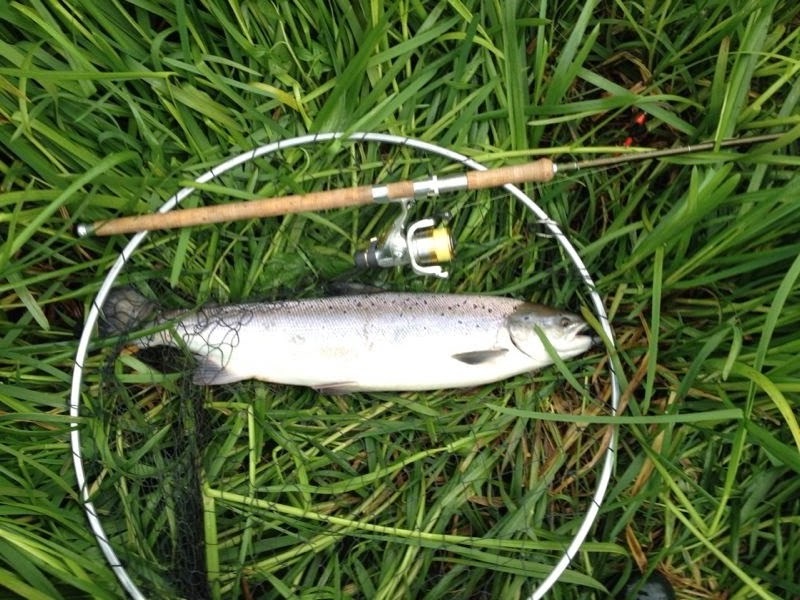 Adventures with a Salmon rod: Salmon Galore - 4 in an hour! Salmon Galore - 4 in an hour! 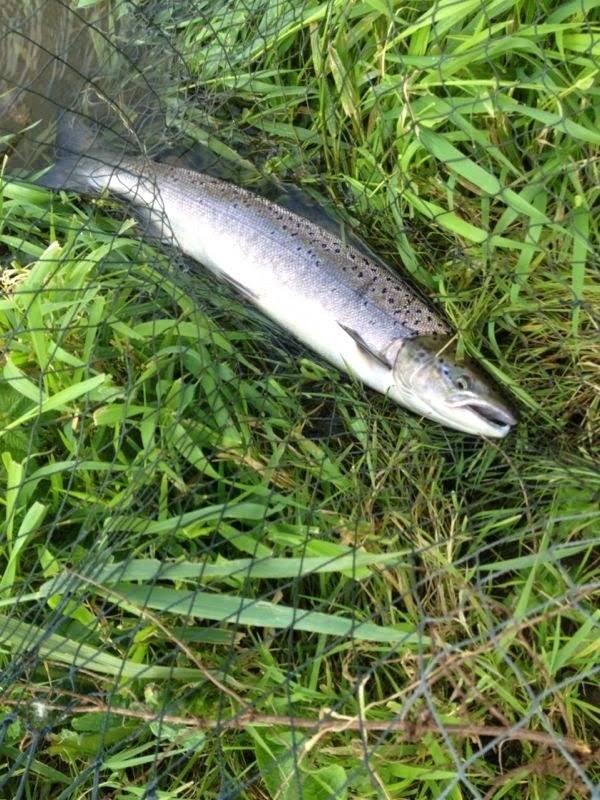 After a rather uneventful summer on the Salmon front on our two beats of the Dorset Frome things are starting to 'Hot up'. During the week we had a good flush of fresh water bringing the river up by more than a foot. This was well overdue and would paper to be to the liking of the migratory fish. I was hoping I would have an opportunity to get down for a few casts but my diary was to full. I had settled in to a rather dull day in the office when a couple of pictures form Tony came through to my phone. 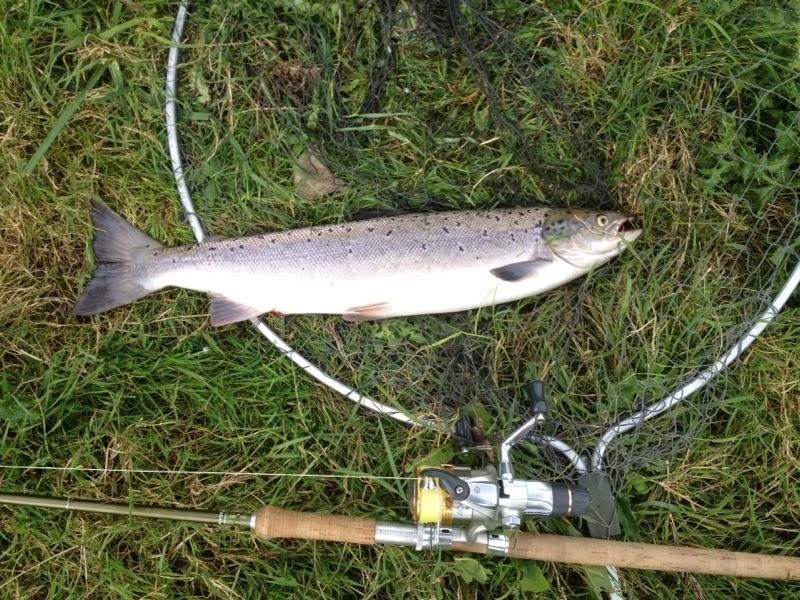 2 nice grilse had been landed after only a few casts. It sounded like it was going to be one of those red letter days and i had a meeting I could not get out of. Feeling a tad frustrated i continued to compile some tedious files when within a couple of minutes another picture came through entitled 'no.3'. This was too much. tony was duly phoned for a run down of the morning so far. 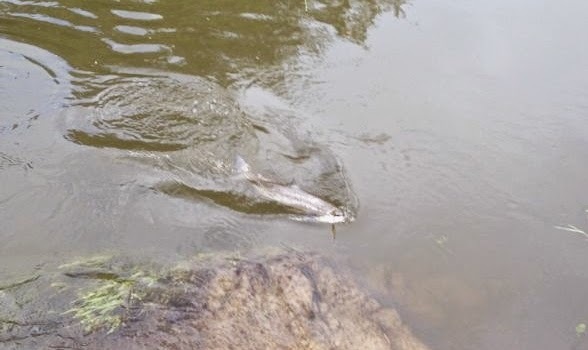 He had only been fishing for 30 minutes and had landed 2 decent grilse and a Salmon of 10lb, it sounded like a good run of fish had entered the river and were in a taking mood. After talking to Tony I was convinced he'd catch more and with 5 minutes, another text confirmed number 4 had been safely banked! After checking my phone, 40 minutes had elapsed since the first message to the last, 4 fish in 40 minutes! These days do happen once in a while though I prefer it when I'm the one on the Bank and not stuck in the office! Tony stayed on for another couple of hours and lost another and turned 2 or three more. It seemed that the fish had either gone off the take or he had intercepted a pod of fish temporarily resting. Nick ventured down later that day but it all seemed strangely quiet in comparison although he did manage a sea trout and lost a Salmon. 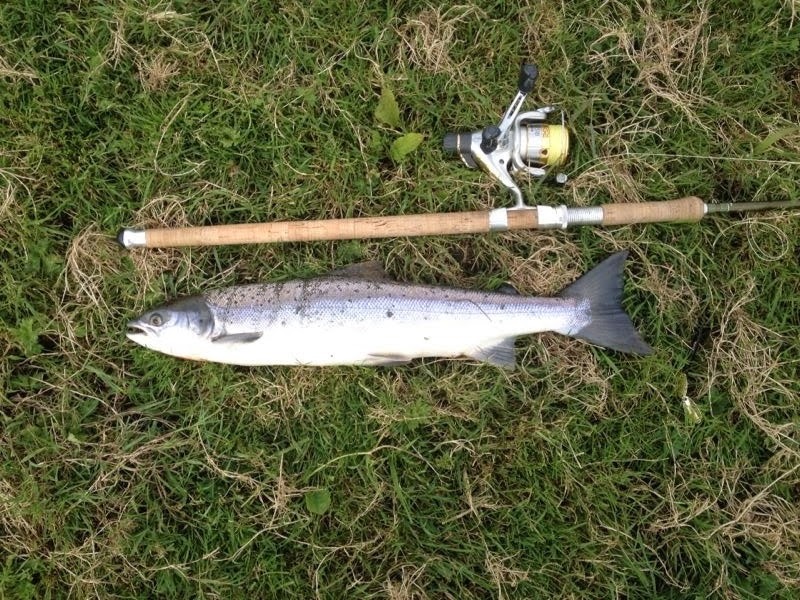 Today is the last day of Salmon fishing on the Frome so hopefully some more fish will be banked whilst the river is still at a great height.